The wait is over—Earth Treks is coming to the DC Metro area! We are thrilled to announce plans to open a fifth climbing gym and our first located within the Washington, D.C. beltway. A grand opening is planned for mid to late July 2016. True to form, Earth Treks’ newest facility will be industry leading in amenities and size. With a massive footprint exceeding 45, 000 sq ft, the DC Metro location will be among the biggest climbing gyms in the nation. How big you ask? Consider that the footprint of the new location is more than 50% bigger than Earth Treks Rockville—which is already ranked as the 2nd biggest climbing gym in the nation. 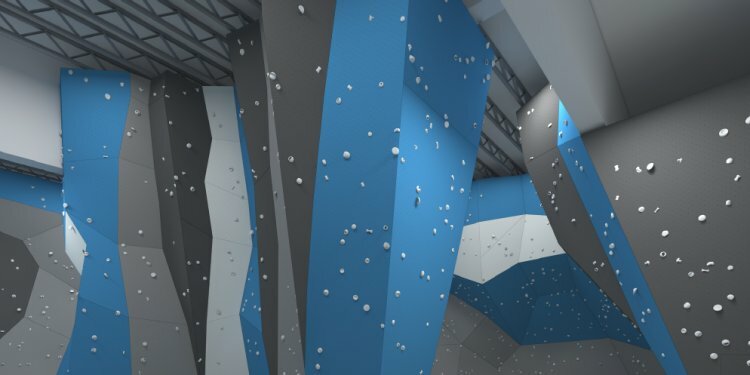 There will be 35, 000 sq ft of awe-inspiring climbing terrain, including more bouldering than any other Earth Treks gym. The roped climbing area alone is so massive that you could drop the entire Earth Treks Timonium building in it and have room to spare. So real big. Huge fitness and climbing training areas. Dedicated yoga and group fitness room.